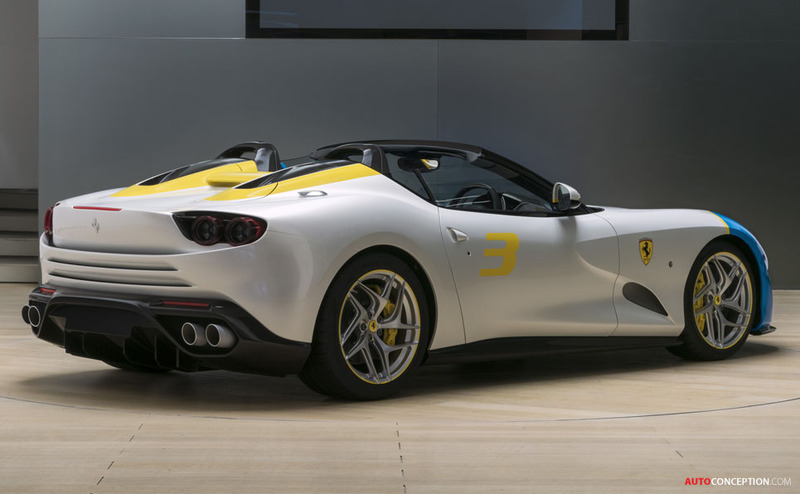 Following on from the 458 MM Speciale and SP38, the latest Ferrari one-off project, the SP3JC, has been officially revealed. 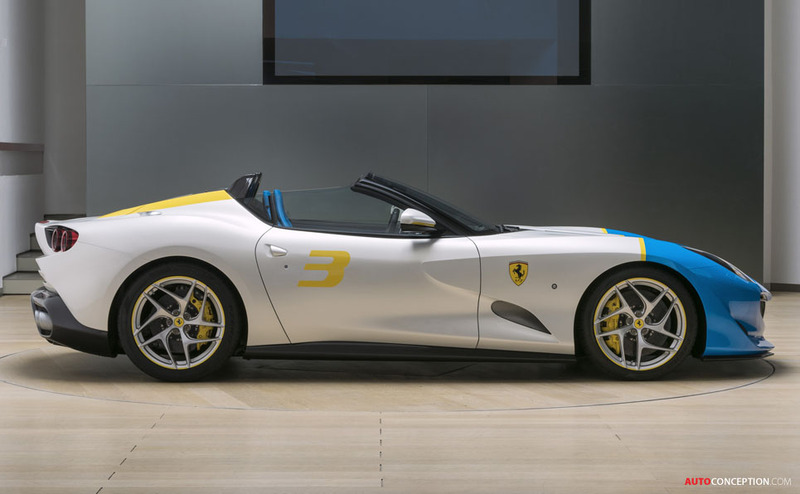 Designed by the Ferrari Styling Centre, the car was commissioned by a Prancing Horse client and collector whose brief set out to create “a pure, uncompromising roadster”. 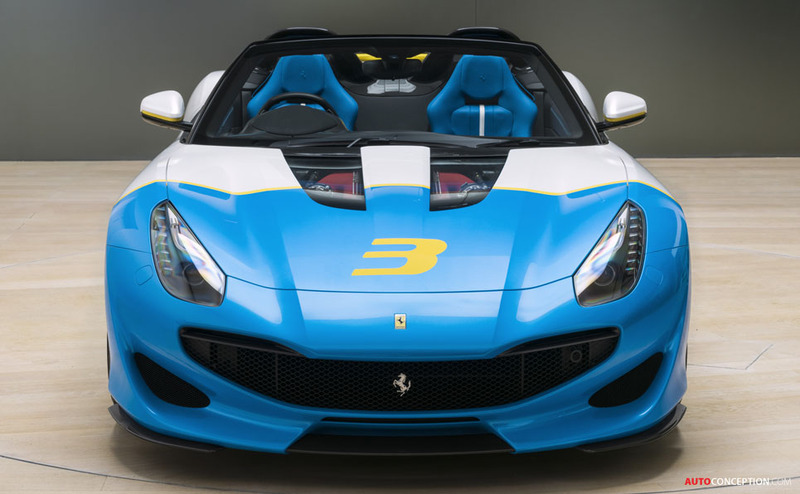 Based on the chassis and running gear of the F12tdf, and said to be the outcome of over two years of design and engineering work, the SP3JC’s styling is shaped to emphasise the car’s front-engine layout, with key details including a distinctive air intake outline as well as split glass inserts on the bonnet to show off the 6.3-litre V12 engine that puts out 769 bhp. 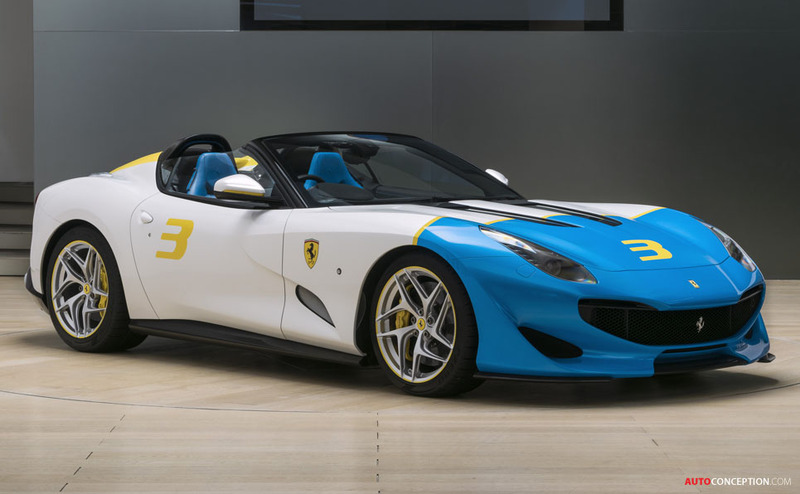 Additional details include a flying bridge between the fairings of the integral carbon-fibre roll hoops and a rear fascia featuring horizontal slashes that the designers claim help give the car a wider-looking stance than the regular F12tdf. 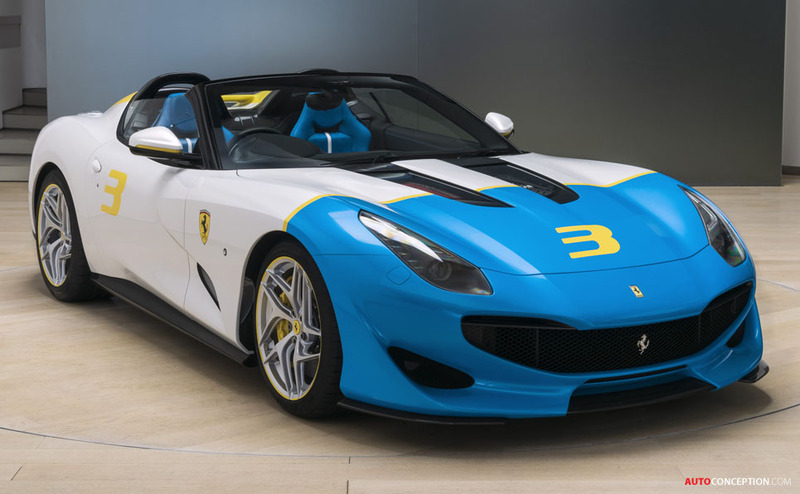 The car’s exterior detailing is then completed with a brushed aluminium external fuel filler cap and, most noticeably, a special livery scheme that Ferrari says was inspired by the anonymous client’s passion for 1960s Pop Art. And the external colour scheme also stretches to the interior, where the seats are trimmed in blue leather with a white insert. The blue leather further extends to the lower dashboard and the colour is picked up in the contrasting stitching to the rest of the interior trim.